BATON ROUGE, LA (WAFB) - No. 9 LSU baseball mounted a comeback in the final two innings that came up short against No. 11 Texas A&M in Game 2 at Alex Box Stadium Saturday. The Tigers (22-10, 7-4 SEC) fell 6-4 to the Aggies (25-7-1, 7-3-1 SEC). 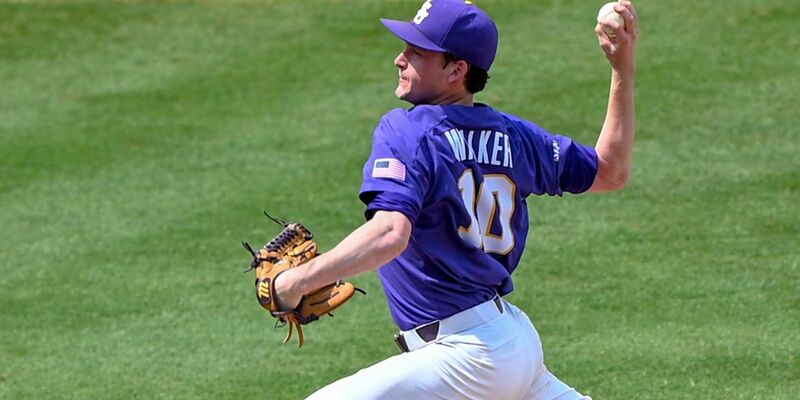 The rubber match will start at 7 p.m.
Eric Walker started on the mound for LSU and suffered the loss. He allowed three runs on six hits and struck out five batters in four innings of work. His record is 2-2. Matthew Beck entered the game in relief. In three innings, he gave up to runs on two hits and struck out two. Todd Peterson gave up a run in closing. The Aggies jumped on the Tigers in the top of the second inning. A bases-loaded double gave them the 3-0 lead. They then added to that in the top of the seventh by scoring two more runs to go up 5-0. Texas A&M went up 6-0 in the top of the eighth when another run scored when the batter made it to base on a fielding error by second baseman Hal Hughes. LSU roared back in the bottom of the inning. Brock Mathis scored on a single to center field by Zach Watson to make it 6-1. The Tigers cut into that lead even more when a single to right field by Chris Reid scored Josh Smith and a single to center field by Cade Beloso sent Watson home to make it 6-3. LSU scored its final run of the game in the bottom of the ninth on a single to left field by Brock Mathis that plated Giovanni DiGiacomo.